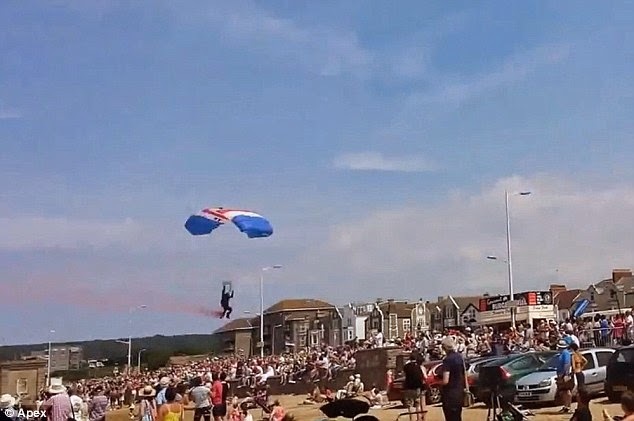 While spectators watched in awe the wonderful feat of the RAF parachutist’s show jumping, one of them got astray and smashed on to a 82 years old woman. The injured old lady has been flown to the hospital for treatment. Woman was treated for a suspected fractured pelvis.